Less than a day left at home. I spent it doing something very worthwhile--watching the Nebraska game. They won, but not honorably. I'm happy to leave Omaha. I've spent all buy my college years here, and it's just not that exciting any more. Of course I'll miss my friends and family, but they know how to buy a plane ticket. 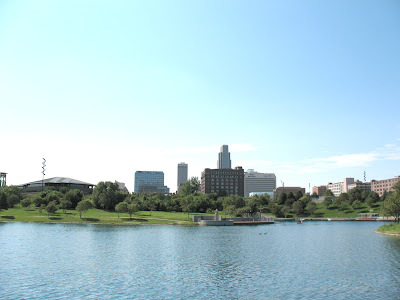 To Omaha's credit, it's done a lot of growing up in the last several years. The improvements are amazing, and I'm sure there will be plenty more new things to see around here when I come back. But for now, I've got a lot of other new things to see elsewhere...so for now, adios Omaha. Hey man, have a great trip out there tomorrow. Be careful, be safe and have the time of your life. I'm proud of you for doing this. It's really cool. I'll be looking forward to your updates.